We’d love your help. 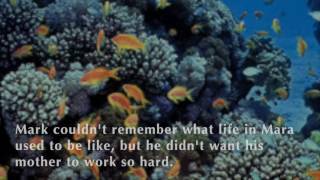 Let us know what’s wrong with this preview of Mark and the Queen Fish by Martha Mims. Mark only knows what it is like to serve the Inlanders who conquered Mara long before he was born. He is angry that his mother is disrespected, and doesn't want her to have to work so hard. Impatient for change, he de A long time ago the people of the seaside city of Mara had everything that they needed, and knew how to talk with the creatures of the sea. But times changed. Mark only knows what it is like to serve the Inlanders who conquered Mara long before he was born. He is angry that his mother is disrespected, and doesn't want her to have to work so hard. Impatient for change, he decides to take action. 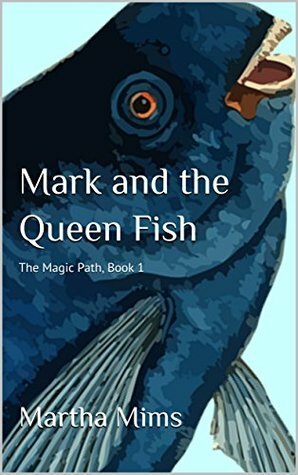 To ask other readers questions about Mark and the Queen Fish, please sign up. Martha is an author and recording artist. She is available for storytelling and poetry readings in the region of Upstate South Carolina. Martha tells stories from Dreamscape, Real Dreams Really Make a Difference, a book about fascinating people in history. The book is on Goodreads under her maiden name Martha Cinader. She also tells original fairy tales for people of all ages. She welcomes opportun Martha is an author and recording artist. She is available for storytelling and poetry readings in the region of Upstate South Carolina. Martha tells stories from Dreamscape, Real Dreams Really Make a Difference, a book about fascinating people in history. The book is on Goodreads under her maiden name Martha Cinader. She also tells original fairy tales for people of all ages. She welcomes opportunities to share poetry solo or with jazz accompaniment. Martha blogs about being a virgin homesteader at http://www.virginhomesteader.com, in Greenville, South Carolina, where she lives with her husband and three teen sons. She publishes a note poem diary entitled Note to Note at http://marthamims.com/project-type/no.... She is currently seeking representation for her first novel, Marvelina, a fairytale for grown women. The novel is based on a twelve episode radio drama that she wrote for WBAI/Pacifica in 1995. Martha was the creator of Listen & Be Heard, a performance series that began in NYC at the Nuyorican Poets Cafe, and migrated with her to the bay area of California where it became a performance cafe and award winning weekly arts newspaper. Martha’s recording of the poem “Living It” has been remixed and released internationally, including on the compilation Aphrodisiac, Universal Music France.